Technologies enrich and amplify the cognitive characteristics of our human skin and stimuli of our senses. The skin manages temperature fluctuations, transforms into shapes, interfaces with the environment, changes color, and reacts to pollution. Computational smart textiles as our second skin adopt these functionalities metaphorically to re-create, modify or extend them by using technology. The sensations created through computation and the manipulation of data can create visual, tactile, tangible, and sensory experiences for the wearer that can be transferred easily over distance. The garments manufactured with computational smart fabrics are nodes in a larger network. They capture data for the possible adaptation to the environment or body data that might lead to the transformation of human behavior. The next generation of computational smart textiles shall become self-contained energy systems that derive energy through the sun, movement, or temperature fluctuations. In her research Dr. Seymour focuses on "the next generation wearables" and the intertwining of aesthetics and function. She is described as being an innovator, visionary, trend setting, holistic in her approach, and a lateral thinker. She authored the successful books "Fashionable Technology, The Intersection of Design, Fashion, Science, and Technology" and "Functional Aesthetics" and is an editorial review board member for the International Journal of Mobile Human Computer Interaction and The Journal of Textile Design Research and Practice. Dr. Seymour is the Director of the Fashionable Technology Lab at Parsons The New School for Design and serves as adviser and jury member for many internationally renowned institutions and conferences. She has received numerous grants and awards and was awarded the Michael Kalil Endowment for Smart Design Fellowship in 2010. She received a PhD and MSc in Social and Economic Sciences from the University of Economics in Vienna and Columbia University in New York and an MPS in Interactive Telecommunications from NYU’S Tisch School of the Arts in New York. Currently Dr. Seymour chairs the project Computational Fashion at Eyebeam funded by the Rockefeller Foundation, curates the MAK Fashion Lab at the Museum of Applied Arts in Vienna, is a researcher with the project CHEMARTS, and is the Chief Creative Officer of her company Moondial. MOONDIAL is the nexus between silicon and style. 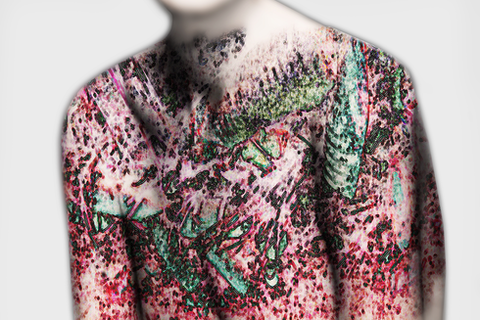 We regard our body as a node in a networked (digital) system and the skin as metaphor to conceive computational fashion. We invent, forecast, and consult on technology infused experiences and products for our clients ranging from Siemens, VF Corporation, to General Electric.